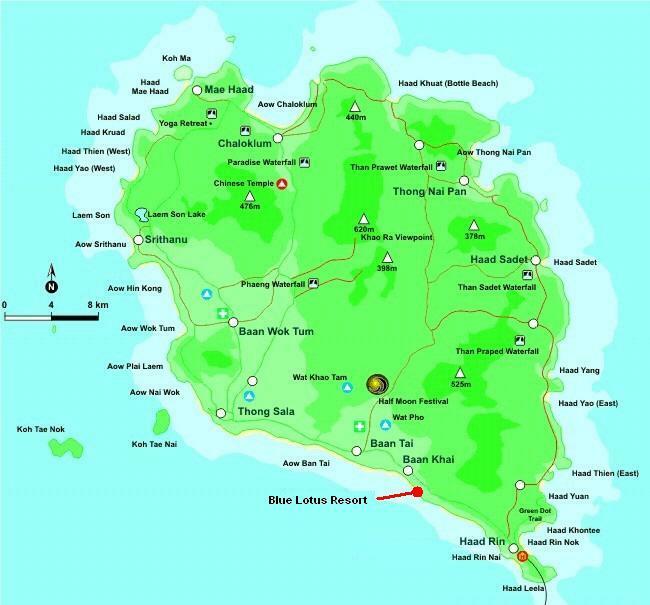 We are located at Ban Kai beach, about 10 minutes by taxi from either the main port of Thong Sala or to Haadrin. Convenient either way! When you arrive, make sure to tell the taxi to take you to Ban Kai, we are located behind the Ban Kai supermarket, on the beach. You can contact us by phone +66818953894 (outside Thailand) or 0818953894 (inside Thailand). Make sure to remember the time zone differences if you are calling from overseas!